Audit and Assurance Supervisor Loraine San Pedro is back in the head ofﬁce last April 4. San Pedro is sent for an almost 6-month secondment from November to April in BKR Australia. San Pedro was given the position of Senior Auditor and reports directly to Audit Partner, Grant Allsopp. 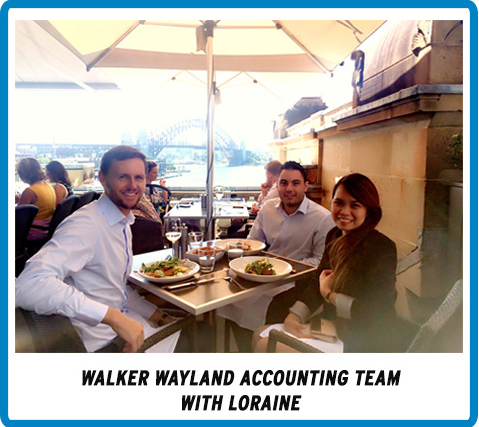 She worked for four months at the auditing team and later transferred to the accounting team during her last month at the ﬁrm. During an interview with San Pedro, she conﬁded that she had experienced difﬁculties in the culture and working environments during her ﬁrst month. “Independent way of living contributed to this fact as well. However, as I get along with my colleagues, they helped me feel like I’m not living and working in a foreign land. The moment that I opened up myself to them, showed them how an employee works in Alas Oplas, shared to them our core values, everything seemed to work easier. They appreciated every bit of work I contributed and they are impressed [with] the quality and quantity of our work,” San impressed [with] the quality and quantity of our work,” San Pedro said. When asked about her memorable experiences, San Pedro mentioned that there were two – when she meet and mingled with the WWA partners in person and getting her Xero Certiﬁcation. Xero is an online accounting software being used by Australia, New Zealand, UK, and USA. “I also got the chance to witness the success of WWA as they celebrate their 30th year last November 2015,” San Pedro shared. 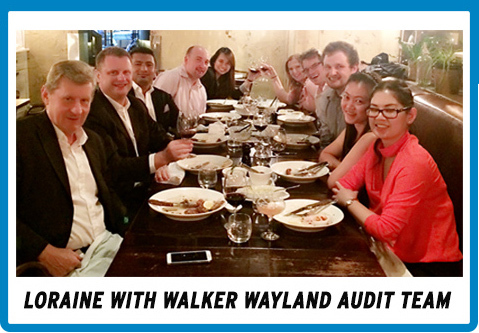 “Whatever she's doing here in audit, it's also the same work in Walker Wayland [at Sydney], Australia. But later on, it was not just [auditing] that she did, she did accounting work that will be outsourced to us eventually,” Managing Partner Marycris Oplas shared during the interview that they sent San Pedro to “learn new technologies” that the latter, in turn, can impart to her colleagues when she went back. “Aside from corporate audit, I did some superfund audits as well [and] directly reporting to the signing Director. Superfund audit is not new to me [since] I’m already doing this prior to [the] secondment. I just appreciated it when I [went] to Australia because I can directly [ask the] Director [what are] the concepts behind superfund,” San Pedro stated. Oplas also mentioned that they would be sending two more of their staff this coming July to December because of the good feedback they’ve received from Walker Wayland. “They saw the positive impact of that secondment, they saw how we work, the commitment of our people, [and] the quality of our staff.” Oplas concluded.